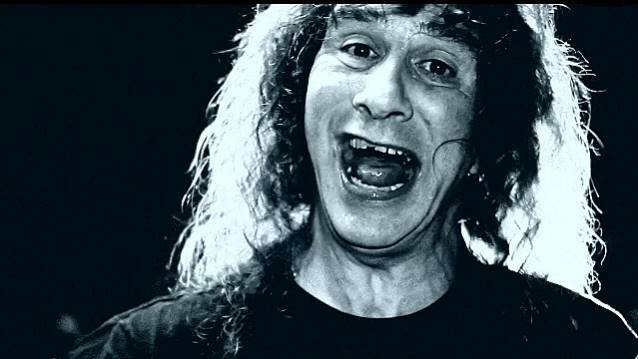 "Badass Rock N Roll", the new video from Canadian metal legends ANVIL, can be seen below. The song is taken from the band's new album, "Hope In Hell", which sold a little under 800 copies in the United States in its first week of release. The disc follows up "Juggernaut Of Justice", which opened with around 1,600 units back in May 2011. The 2009 re-release of the band's 2007 CD, "This is Thirteen", registered a first-week tally of 1,400 to enter the Top New Artist Albums chart at No. 19. Released on May 27 in Europe and May 24 in Germany on SPV/Steamhammer, "Hope In Hell" is available in four different formats: as a limited-edition digipak including two bonus tracks, as a jewel case CD, double gatefold colored vinyl LP and as a digital download. These are the first cuts featuring ANVIL's new bassist Sal Italiano, who joined the band a year ago. "Hope In Hell" was written and recorded following an 18-month world tour which took ANVIL around the globe.